This lesson serves as a guide to the Initial IEP Component of the Michigan Student Data System submission. 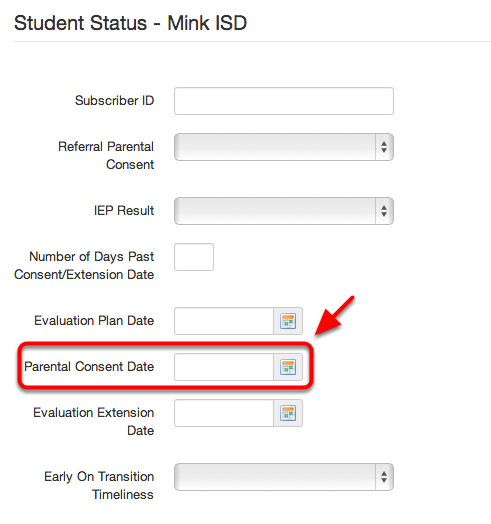 The Date of Parent Consent characteristic is generated from the "Parental Consent Date" field on the Special Ed Tab-> Student Status link. 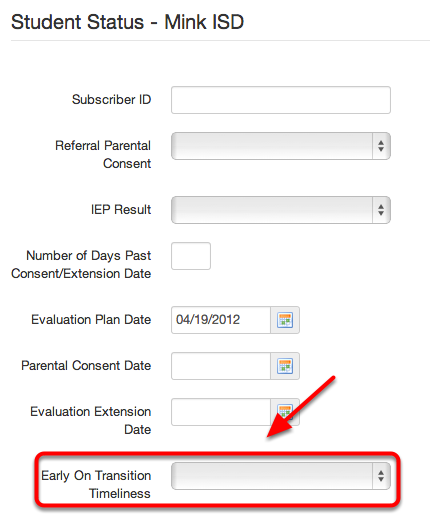 The Initial IEP Completion Date is generated from the "Publish Date" on an Initial IEP on the IEP Details screen. 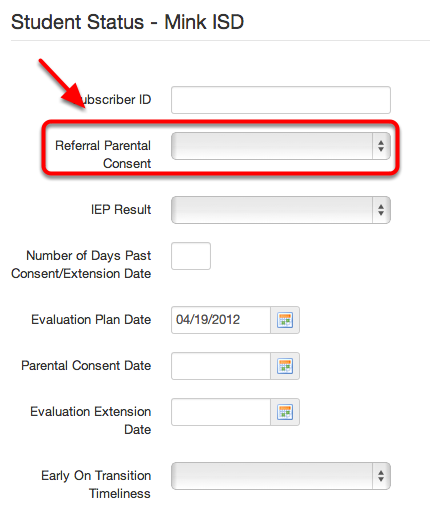 Timeliness of Initial IEP is generated from the "Referral Parental Consent" field on the Special Ed Tab-> Student Status link. 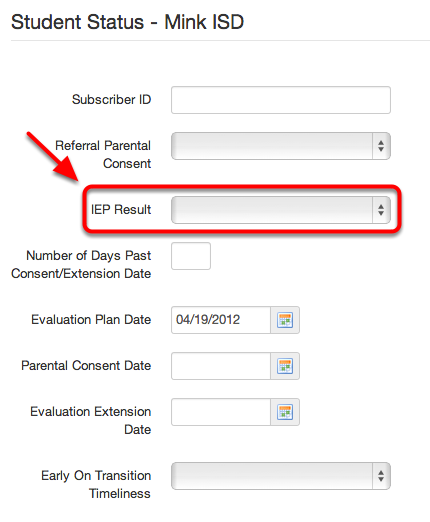 The Result of Initial IEP characteristic is generated from the "IEP Result" field under the Special Ed Tab-> Student Status link. 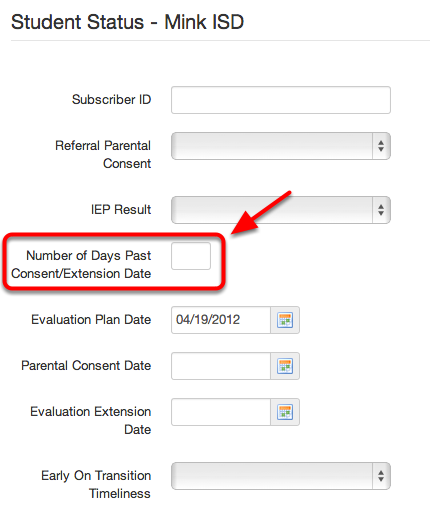 The Days Beyond Timeline characteristic is generated from the "Number of Days Past Consent/Extension Date" field under the Special Ed Tab-> Student Status link. 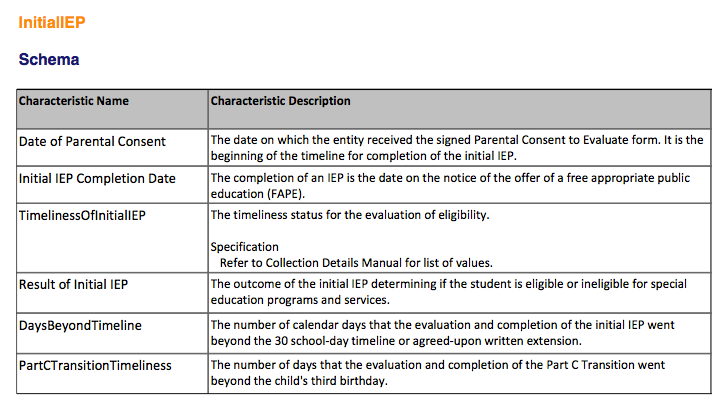 The Part C Transition Timeliness characteristic is generated fromt the "Early On Transition Timeliness" field under the Special Ed Tab-> Student Status link.